Stays that include the following days require a 1 night minimum: Fri, Sat Sorry, but the dates you selected require a 1 night minimum stay. Please adjust your search and try again. Stays that include the following weekdays require a 1 night minimum: Fri, Sat Sorry, but the dates you selected require a 1 night minimum stay. Please adjust your search and try again. Save up to 20% on your accommodations and receive FREE breakfast for two daily! 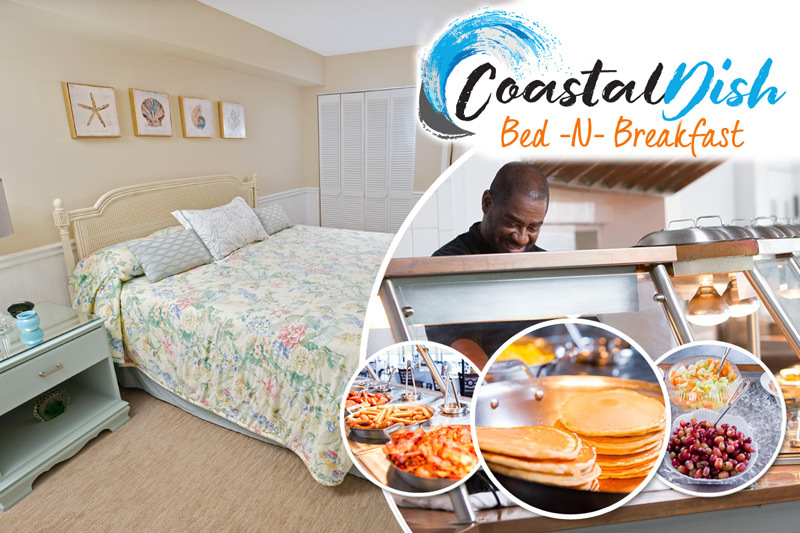 Save up to 20% on your accommodations and Enjoy our Daily Breakfast Buffet at Coastal Dish. If Pawleys Plantation room type chosen, breakfast is at Pawleys Plantation Clubhouse. Offer not valid on pre-existing reservations or in conjunction with any other discounts. All discounts are taken off rack rate. Unit type and minimum night stay restrictions may apply. Rates are determined by day of week and dates of stay. Black out dates may apply. Rates are subject to change without notice. Taxes, resort fee and city fee are additional. Management reserves the right to end promotion at any time. Offer does not apply to groups or special events. Limited number of rooms available.